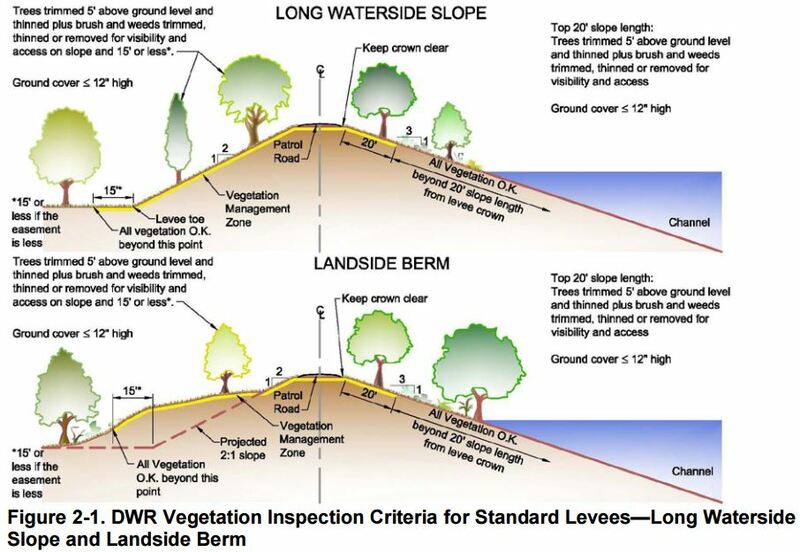 DWR requires vegetation on all levees to be maintained less than 12″ tall and all trees or large shrubs to have their branches trimmed up to at least 5′ high. The purpose of this requirement is for public safety during the flood season. Maintaining vegetation in this manner aides levee patrols when looking for threats to the levee such as erosion, boils, or seepage. There is an abundant amount of vegetation on the natural waterways that border RD-999. Especially along Elk Slough, Sutter Slough, and Minor Slough. 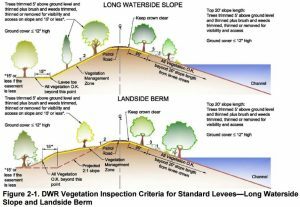 DWR has a list of acceptable vegetation for levees, published within the California Code of Regulations Title 23. Waters. For those who own property on which a levee is built, please consult this document. Below are links to the specific pages that cover vegetation. 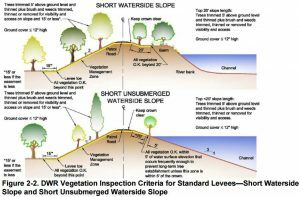 Here is a list of suitable and unsuitable levee ground-cover. 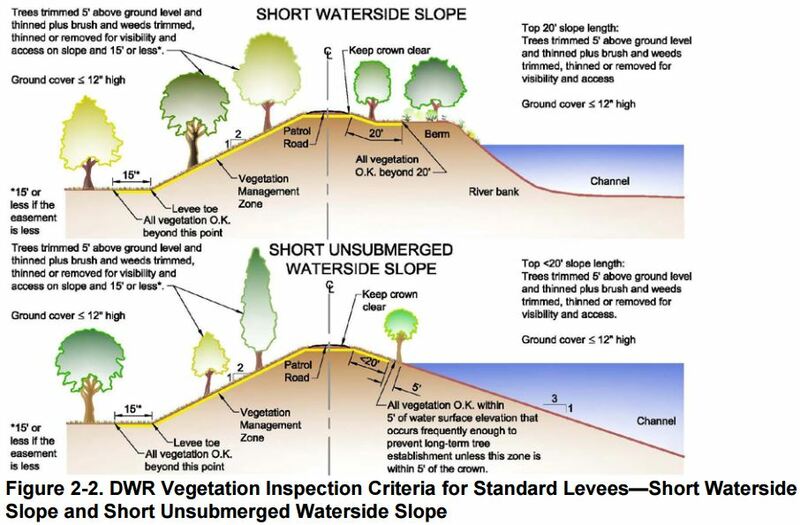 Here is a list of suitable and unsuitable trees on the levees.